The Royal Botanic Gardens Kew, a UNESCO World Heritage Site, has a variety of stunning, unique and awe-inspiring venues. Whether you are organising a wedding reception, corporate dinner or meeting, Kew’s diversity offers clients an astonishing variety of spaces to match your creative vision and production/budget requirements. You and your guests will never forget their experience at Kew. 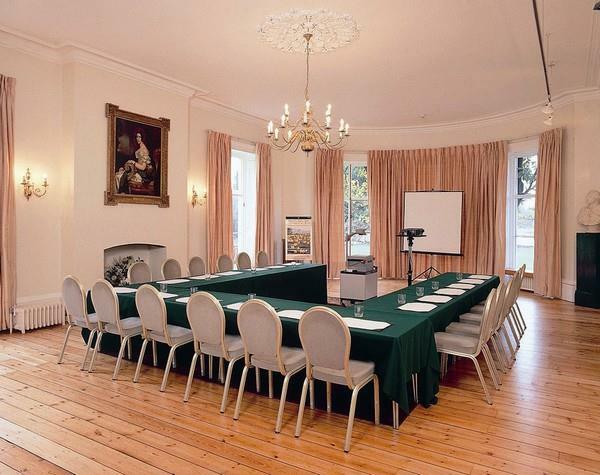 Cambridge Cottage is a Grade II listed building and former royal residence, set within its own private gardens, that is ideal for both corporate and private events. The main body of the venue consists of the Gallery which can seat up to 80 for dinner, and the adjacent Drawing Room, which is licensed for civil ceremonies, can seat up to 80 guests theatre style. The Cottage is available for day hire and evening hire, and comes with its own private Gardens for drinks receptions or BBQs. The Nash Conservatory is the oldest of the 19th Century glasshouses at Kew and is of major historical and architectural importance. Originally built within the ground of Buckingham Palace, this classical conservatory now provides a unique and versatile event space for both daytime and evening corporate events and can accommodate 200 guests in a theatre style or 80 guests in a cabaret style. Also licensed for civil ceremonies, the Nash Conservatory can he hired in conjunction with the striking Orangery, which is available for evening hire for dinners up to 200 to host your whole event. For a truly unique event experience, enjoy a canapé reception in the Princess of Wales Conservatory, famed for its rare orchids and Chinese Water Dragons. Available for standalone hire or in conjunction with any of our other venues, the Conservatory can accommodate up to 200 guests for a standing event. The West Wing of the Sir Joseph Banks Building is a striking subterranean space that is appropriate for both daytime and evening events. Large windows within the main room (which is supplied with wireless internet access) provides a tranquil setting and natural daylight for your event. This building is available daily and can hold up to 230 people theatre style and 160 for cabaret style. The Sir Joseph Banks Building also comes with its own private lawn area, ideal for team building activities and summer BBQs. Newly added to our venue offering is the Marianne North Gallery, a beautiful gallery housing 832 paintings depicting more than 900 species of plants, all created by Marianne North, a Victorian explorer and artist. The Gallery is ideal for evening drinks receptions of up to 80 and dinners for 50, which the option of adding on the neighbouring Shirley Sherwood Gallery for larger events. On 5th May 2018, Kew’s breath-taking Temperate House – the largest Victorian glasshouse in the world – reopened after a five-year closure. The entire frame-work of the building has been painstakingly repaired, and its thousands of panes of glass replaced, along with its intricate ironwork and expansive paved flooring. The result is a glistening cathedral housing 10,000 plants, making it one of the most unique venues in London. The impressive glasshouse can host large evening dinners and standing receptions of up to 300 guests amongst 10,000 species of rare and endangered plants. You are now, once again able to hire this magnificent space exclusively in which to throw the most exquisite events. 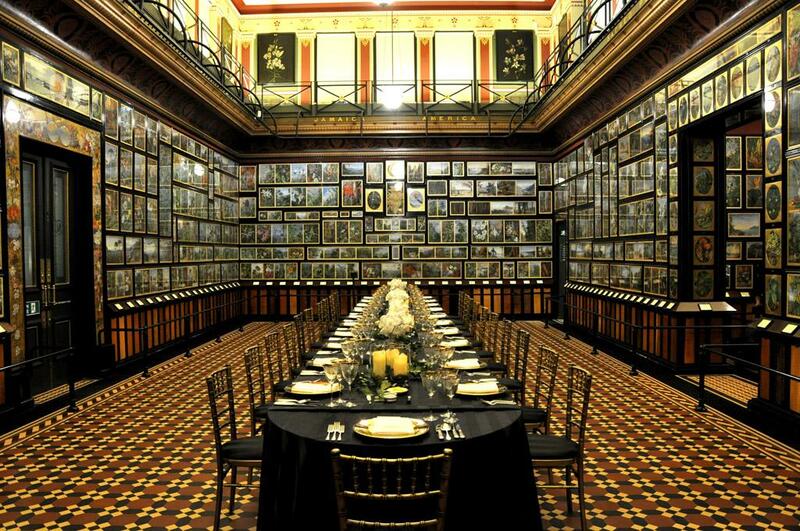 With venue hire starting from £14,000 + VAT for the evening you can impress your guests with endless history within this completely unique space. A range of our different venues offer all inclusive packages for corporate events, including day delegate rates, corporate BBQs and Christmas parties. For more information on the various packages available, please contact the events team.